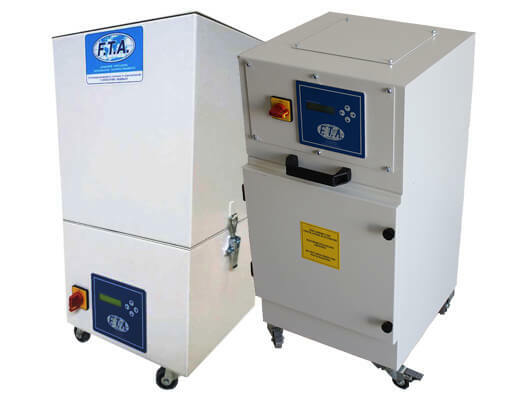 The new purifier DEL-20 from F.T.A. S.r.l. is available, discover all the features that make it a high-quality product and contact us for more information. Fittings: 400 V 3 phase plug with 3 m power cable, with differential pressure switch and display to check filter blockage and hour meter with brushless motors for difficult applications.